Roll on Term 3 and Hub Whenua are already into assessments with our mid year snapshot of learners spelling ability. 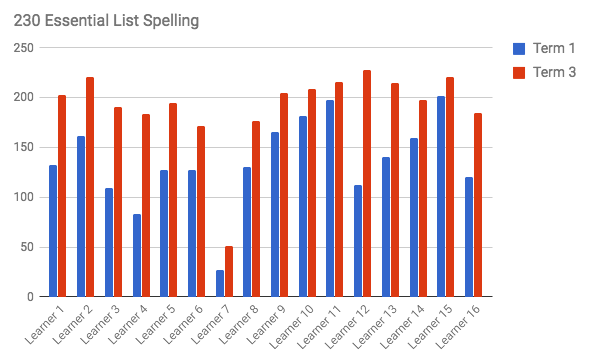 The learners who I am supporting with their writing have come such a long way with their spelling as detailed in this graph where I compared their result at the beginning of the year to what they were able to achieve this week. This success has come from the learners being determined, fantastic support from whanau and the inclusion of spelling into my practice each week. However while these results are fantastic, I am not seeing the transition of this confidence with vocabulary when the learners are crafting their writing. This has got me thinking about how I can redefine the spelling component of my practice. 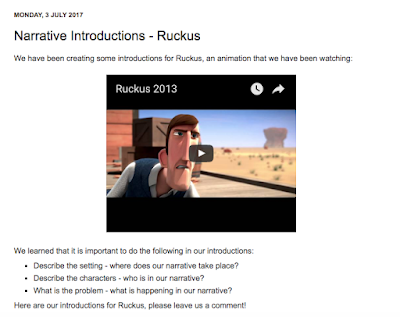 How can I turn something that has the potential to become 'boring' and 'repetitive' into something that learners want to engage with and can make links with while writing. I am currently reading "Teach Like A Pirate" by Dave Burgess and one of the first areas of passion that he writes about is content. While I consider myself to be a confident speller, I really need to up my game with knowledge to be able to confidently pass these skills onto learners. 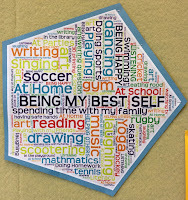 I am fortunate to have worked with our PE specialist Rachel and she has introduced me to activities to help develop confidence with spelling but I feel that I need to continue to explore this area too so I have a kete of resources to use. Stay tuned - this pirates spelling ship is just setting sail! Always grateful for ideas or insight into others spelling programmes. As I have already reflected on my practice in relation to the learning areas of reading, writing and numeracy - this reflection will look more at how I have been building relationships with the learners this term and outlining some small personal goals I have for the next term. 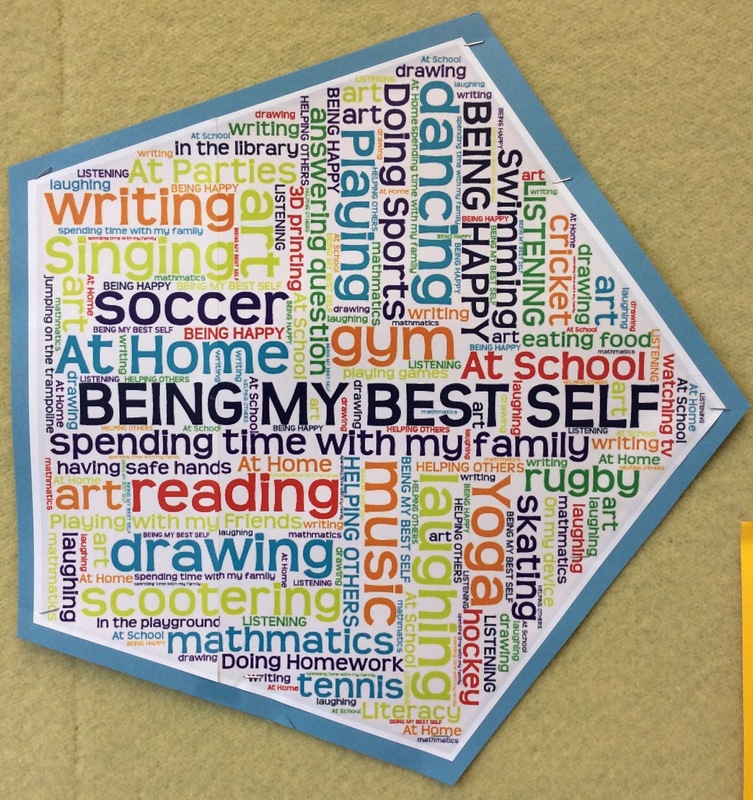 Our Term Two concept was "Being My Best Self" that linked with our schools vision for wellbeing but we also chose to expose learners to the concept of hauora where we explored and investigated the different realms of wellbeing. This term I felt that we had more learners open up and discuss who they were as a whole person because we gave them the opportunity to both explore and express these facts. Another great initiative we created in the hub is the daily affirmations at the end of the day where learners were able to share when they noticed someone else in the hub being their best self. This experience showed me that this concept learning had heightened everyone's knowledge about one another so it was great to hear when a learner who historically may have been distracted in numeracy learning be nominated for being extra determined with their learning for the day. We found that learners were not nominating their friends and the sheer look of joy or surprise when someone heard their name being called out meant that we were all leaving the day on a positive note. 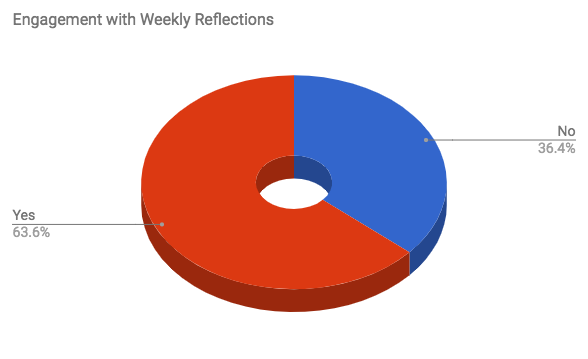 I asked my Guardian Group for some feedback at the end of the term about how they had been enjoying our time as a group and here are the responses. The fact that the majority of the group put down that they enjoy "Fun Day Friday" means that the time that we are spending as a group is well worth it - this is where the group have the challenge on Friday to make me laugh when we are doing the roll. These are moments where I see learners that are usually reserved really open up and I have a few masters of the worm who like to bust it out. While it was nice to get some affirmations in the "What would I like Mr Lewzey to know about me?" section, my eyes went more to the responses like "nothing" and I have massive respect for the learner who called me out on not pronoucing their name correct all the time. So I still have a long way to go with some of my group, however while this survey was anonymous, I have a good idea about which ones I need to continue to build relationships with. However that is only 22 of the 70 learners in our hub that I interact with and there are still learners in the hub that while I feel I have a good understanding of, I need to keep on trying. 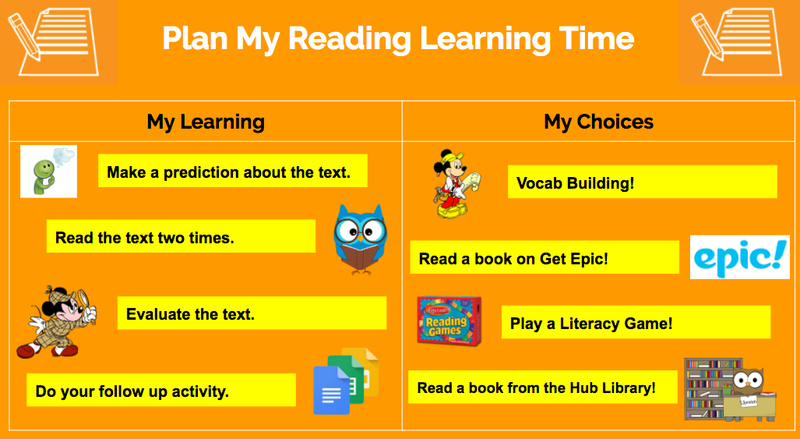 We have done some regrouping for Term Three so this means that I will be working with some learners that I have not had the opportunity to work with this year so far so I am looking forward to building those relationships. My eyes go direct to the nine learners who do not feel confident to talk to any of the teachers in the space, whether they have a problem or would like to share something. Learners have the chance to acknowledge other teachers within the school, however looking at the data, these learners have indicated that they do not have anyone and coming into half way through the school year, this is something that we as a hub team need to address quickly so we have tagged ourselves to particular learners and will discuss with their families next term to see if we can get some more insight into this. I still watch this video when I am feeling a bit down about my practice as it helps me remember a key component of my beliefs as a teacher: everyone needs somebody who believes in them. 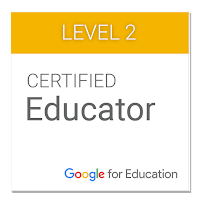 Having done the Google Certified Educator - Level 1 last year, I had always thought about doing the second level. I decided that I would try for it these holidays and I was able to pass. I went into the experience, thinking that it was going to be about developing further skills in a number of the Google Apps for Education that I was already using, however I found that while doing this, the experience made me reflect on things that I was already doing in my practice as well as challenge my thinking in how to engage with the learners in different ways. One of the great things I found out to maximise time is to create 'canned responses' in Gmail where you can build emails and have them be available as templates for you to populate rather than typing or copying and pasting previous emails. Another aspect that I wish to explore more is the 'HyperDoc' - this is something that we spent time exploring last year as part of the MDTA programme however this process made me reflect on how I could leverage this more in my practice to help learners both learn at their own pace but also encourage them to keep challenging themselves in their learning. As with reflecting on reading and numeracy, I also reflected on my writing practice this term and gathered voice from the learners. I was a bit nervous to see what these learners would feel about my instruction as they had both been a focus for our Term 1 inquiry as well as the focus for my dissertation this year. Looking at the above chart, I am not surprised by these results. 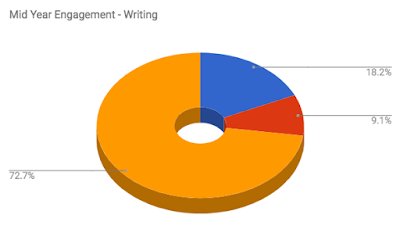 Some of the learners (18.2%) have been vocal about not enjoying writing hence the reason why I have tried to keep my practice fluid and find ways to engage with them based on their interests. I also chose to ask them about an element of my dissertation inquiry where the group reflected on their writing progress each week. I do wish to carry on with a scaled down version of this reflection process for next term so will gather some more information from the group on how I can make this less of an event and more a natural part of the process. Over the term break, I will start to analyse the data collected from this term so hopefully some other insights will spring from that. I feel that I have grown the most in my practice in relation to teaching writing. While I enjoy writing, I need to realise that it can be a difficult process to others and feedback from both the learners and their families is that they are unable to see progress in their writing (in contrast to both reading and writing). This has made me think about how I can use the tools available to help learners see their own progress but also celebrate shift more. Another takeout I have taken from gathering this feedback is that I am working with a group who may not enjoy writing and how can I make this more enjoyable or the learning not as teacher directed as it may have been in the past. I was fortunate to go and observe a colleague as she used stations to keep the energy high when teaching phonics so I will look into how I can incorporate movement and rotations into teaching aspects such as handwriting and spelling more. Similar to the learners I work with in reading, I collected voice from my numeracy groups to analyse both engagement and shift. In relation to results, all the groups have maintained their 'At' call in National Standards as they are all now working towards operating at early Level 2 of the NZ Curriculum. Term One was about consolidating all the learners knowledge and strategies at Stage 4 as I had learners working at all different parts of this so this term has been developing and building their confidence in Stage 5 Number Knowledge and introducing them to a number of the strategies for both Addition/Subtraction and Multiplication/Division. As you can see in some of their responses, some of these strategies have really stuck with them. This goes with my gut on how I felt learners were feeling about their numeracy learners. 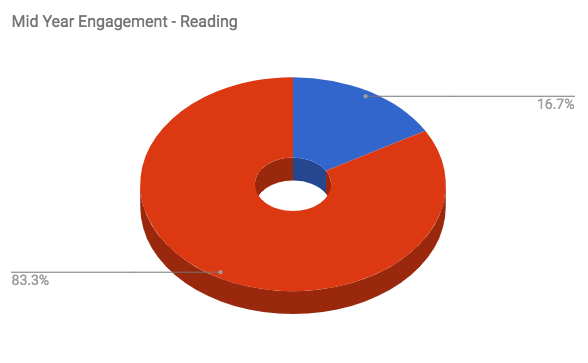 The four learners (21.1%) are learners who have developed the confidence to tell me when they are stuck in their learning and this has taken a couple of terms to build this ability. The biggest learning curve this year in numeracy has been my own PCK - last year I was working more with our Year 2 learners in Stages 3 and 4 so moving into Early Stage 5 has been both exciting and challenging as I think of ways to engage with learners. Using the kids love of Pokemon to teach place value was something that I thought was a bit random at first however the kids loved it and I managed to help some learners overcome the obstacle of regrouping with this activity. That is the key to keeping thing fresh - teaching numeracy can be black or white. Either you know the strategy and get the answer correct or you don't. So my personal challenge is to look to develop my creative skills in teaching numeracy to continue the engagement for both the learners and myself!